In a week full of athletic events -- for humans at the Winter Olympics and for dogs at Westminster -- we didn't want to leave out these agile cats. 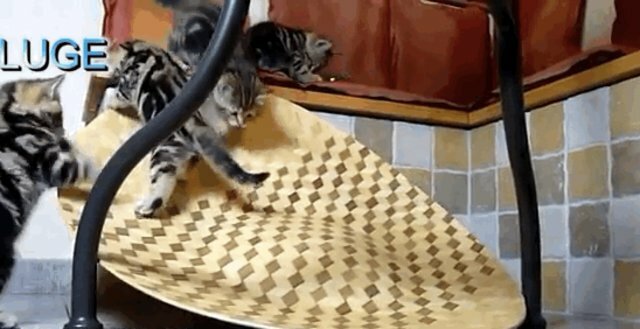 These six Scottish Fold kittens, all born last July, have been incredibly active, and their owner has captured footage of their form of the Olympic games. They run the whole gamut, not discriminating between seasonal sports; this video shows the cats luging, wrestling, running and skating, in addition to adapting other popular Olympic feats.